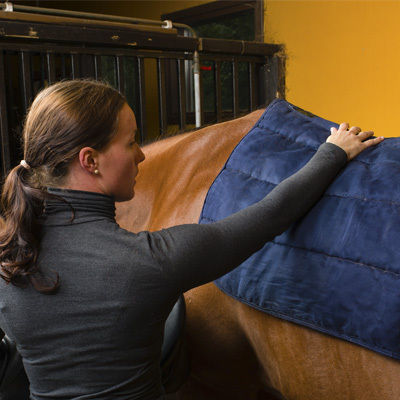 Using a tape measure, start at the middle of your horse’s chest and run the tape along the side of your horse until you reach the rump. See picture above. The number you get will be your blanket size. Most manufactures run in 3in increments. If your horse falls in between sizes, it is recommended that you go up in size. Example would be that you measure a 70”, you would buy a 72”. At The Grange we carry Amigo from Horseware, Weatherbeeta, Saxon and Horze brands. One of our skilled employees can help you find the perfect blanket!